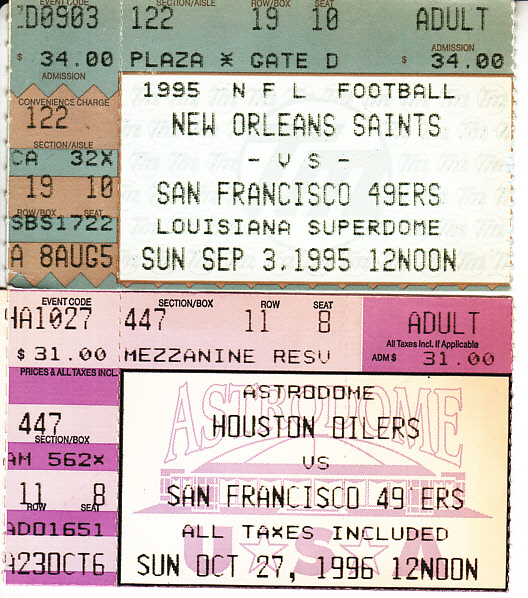 Lot of 2 San Francisco 49ers road game win ticket stubs from the Jerry Rice and Steve Young era: Sept. 3 1995 at Saints (24-22) and Oct 27 1996 at Oilers (10-9). 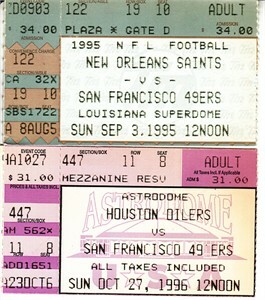 Both in pristine condition. ONLY ONE LOT AVAILABLE FOR SALE.